Cullen Electric has years of experience in outfitting your home with top of the line Audio and Visual components. Unlike most “Audio Only” Companies we can perform a full installation including electric outlets, dedicated circuits, HDMI cables, RG6, CAT5E and CAT6E wiring systems. We can also perform custom cable and satellite runs as well. Since we have decades of experience pulling hundreds of thousands of miles of wiring in homes we can perform your installation in the quickest, most efficient and unobtrusive manner possible. 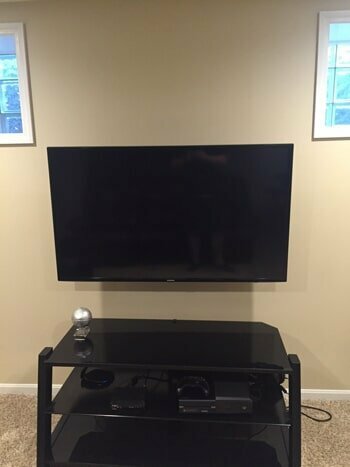 We can install your 22″ – 122″ TV with the same care and professionalism we have always installed your electrical systems. 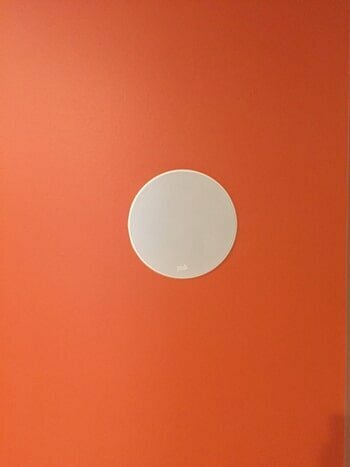 In wall speakers are an excellent way to add spacial characteristics to your system while complementing and enhancing the overall beauty of your walls. These high performance, high power wall units are available for immediate install by the professionals at Cullen Electric! In wall subs provide deep bass that will pound through your chest and bring the movie theater experience right into your home. The natural resonance of the wall and wood material in your home's construction allow for tight powerful bass waves to travel intensely through your home. Of course if the kids can't sleep there are gain controls built right in! 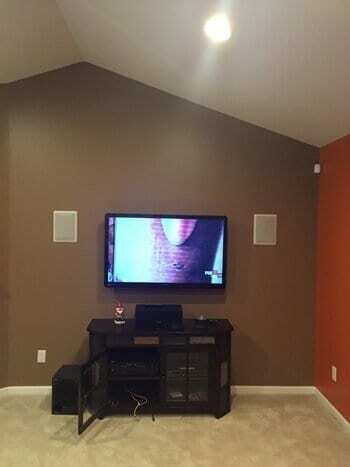 We can design a custom whole house audio package that could allow you to play music in every room. Blue tooth technology can allow us to set up equipment that could allow you to play a different device in each room or the same tracks in the whole house. Call today for a free in home evaluation! Not only for the inside…but the exterior as well! ll today and start enjoying your home like you have never been able to before!